On December 1, an Emirati woman entered a bathroom in the Boutik Mall between the Sun and Sky Towers on Abu Dhabi’s upscale Reem Island. There, she waited for an hour and a half until she identified an American. It didn’t seem to matter to her much besides the nationality; as soon as she found one, she pulled out a large kitchen knife and stabbed the unfortunate woman as many times as she could. She then fled the scene. About an hour later, she planted a bomb outside an Egyptian-American doctor’s office. The bomb failed to go off before police disarmed it. In the United Arab Emirates, violent crime is rare. Stabbings happen, but they’re usually between lovers spurned, people who owe one another money, or stupid kids thinking they’re still tribal warriors fighting over their honor. When I got a text last week from a friend who still lives in Sun Tower saying someone had been murdered, we both assumed it was just that. Then the bomb story came out and the whole thing changed. Terrorism is a way of fighting a war, not a lifestyle. Being a terrorist does not involve sitting around smoking cigars and petting cats; it’s a way of getting something done. People use terrorism to achieve political and social change when they themselves are too weak to do anything else. A few people use terrorism out of anger, but most of the time, it’s a pretty logical thing to do when your team is outnumbered and outgunned. It differs from guerrilla war in one important aspect: guerrilla war focuses on defeating armies, while terrorism focuses on defeating or changing societies. We will now step into the ridiculous. This isn’t to belittle the seriousness of terrorism, but to demonstrate that, to be a terrorist, ideology, religion, and culture are meaningless. You wake up one day and you believe in peanut butter yoghurt. This transformation happened at night during a dream, when the Peanut Butter Yoghurt Spirit visited you and yada yada yada now you’re a zealot. You know society would be better should peanut butter yoghurt be consumed in every shop, every grocery store, every school, and every home. Science is irrelevant because you’re a true believer. You find some people who mildly sympathize with you online, but aren’t willing to do much beyond give you a “like” on Facebook. Over time, you manage to radicalize a few of these into joining your little group. Eventually, you either find or make a handful of true believers like yourself. The problem is not your vision, which you’re assured is right. It’s the people of the country. And you’re going to teach them a lesson. The question is, who is the real enemy here? In some cases, it is the government and its immediate supporters that prevent your vision. In other cases, society at large is too ignorant of how right you are. These circumstances decide your target list. Since you can’t win rationally, electorally, or legally, you have only violent means left to you. You must destroy your die-hard opponents in either the government or in society. But you’re such a small club. 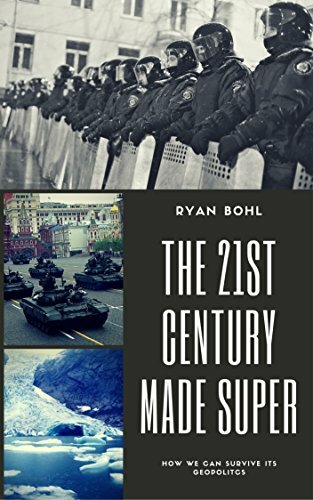 To grow, you must change the country’s circumstances into a geopolitical crisis big enough to alter the way people think. This is where the violence comes in, and why we call this “terrorism” rather than guerilla warfare. A guerilla seeks to capture the army barracks and its weapons so he can go on to capture other army barracks, until one day he is El Presidente. A terrorist seeks to blow up the army barracks with everyone and everything inside. That’s because a terrorist seeks to create revolutionary conditions where there are none. Unlike a guerilla war, a revolution means all of society’s rules are up for grabs. A proper revolution allows the winners to rewrite every rule, law, and taboo as they see fit. This is what a terrorist wants more than anything else, and why they are willing to generate chaos. Depending on who the True Enemy is, a terrorist attacks either a government or its supporters in society. If the True Enemy is simply a government that instills fear in everyone and would otherwise be overthrown, the terrorist seeks to show that the government cannot protect itself and is therefore weak. Typically, a tyrannical government overreacts to such terrorism. A terrorist blows up a police station; the police swarm a neighborhood they “suspect” of holding terrorists and kill or arrest people more or less at random; some of the survivors of the neighborhood, who might have been neutral up until that point, now hate the police, and support the terrorist group that started the cycle to begin with. They bomb somewhere else; the government overreacts; and so on and so forth until a large enough group of terrorists are recruited to move from being just terrorists to being a proper army which can take and hold territory. 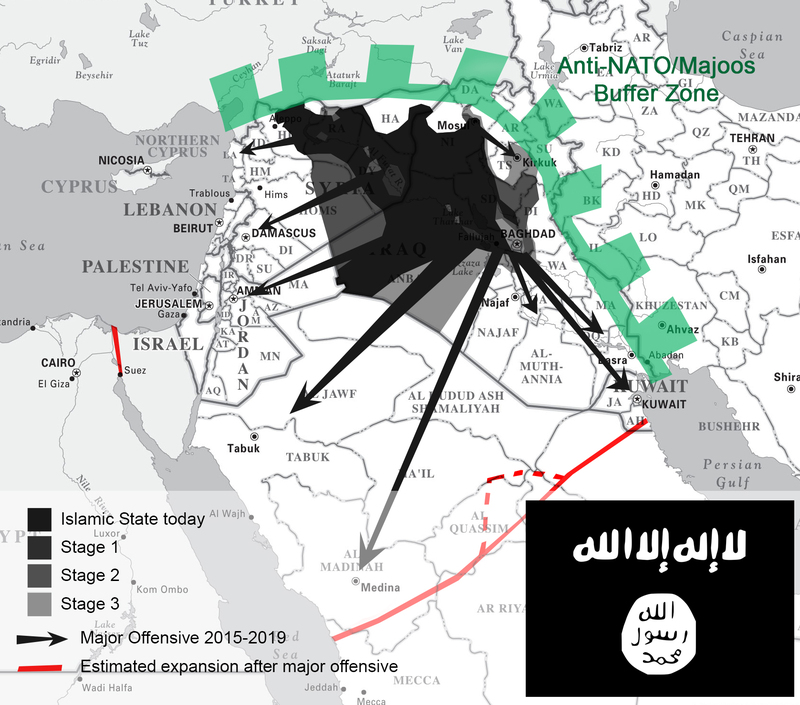 This is more or less the path the Islamic State followed. Defo part of this is propaganda, but it does show where the Islamic State seeks to grow. Otherwise, if the terrorist’s viewpoint isn’t really popular, he will seek to attack members of society who are so busy proving him wrong. Should he get away with it long enough, society will come to fear the terrorist enough to cooperate with him and even let him start calling the shots. This tactic worked super well during Palestine’s Nakba, when Jewish terrorists massacred just a select few villages and caused widespread panic amongst Palestinians. To avoid the same fate, the Palestinians fled to safety across the frontlines, never to return. Now then, what about Islam in general? Is it any more prone to terrorism? No, not really. All ideologies have within them the potential to become the backbones of terrorism. Anyone who believes in anything hard enough can be convinced to kill others who don’t believe like them. (This very notion was well-put by a South Park Episode that showed a far future where two atheist groups continued to pointlessly fight wars over ideas). Now, where the hell did the Reem attack come from? The UAE’s splendid geographical isolation makes it immune to much of the Middle East’s day-to-day insanity. This isolation makes people who live in the UAE feel like they live in a bubble, but the reality is the UAE’s deeply embedded in the region’s turmoil. It’s just been very good at hiding it. From 1971 until 2012, the UAE’s rulers were able to avoid political dissent and discussion by establishing one of the most generous welfare states in human history. Free houses, free overseas universities, cheap food, cheap energy – you name it, the Emiratis got it. The political fads of the day did not offer a better lifestyle than that, and it helped that the sheikhs were a deeply embedded traditional part of Emirati society. By this point, Emirati society had become appropriately educated to know their system was not the world’s only system. The vast majority were still happy with the cradle to grave welfare in exchange for not caring about anything, but a handful were not. With the Arab Spring blowing over the region, these handful thought they could make calls for reform and initiate a conversation with the government. They were oh so wrong. The UAE 5 were the first to be arrested for speaking out. While Emirati society was busy being distracted by generous paychecks and a high social safety net, the UAE’s most important ruler – Sheikh Mohammed bin Zayed of Abu Dhabi – had concluded that Emiratis were not ready to be ruled by anyone but him. 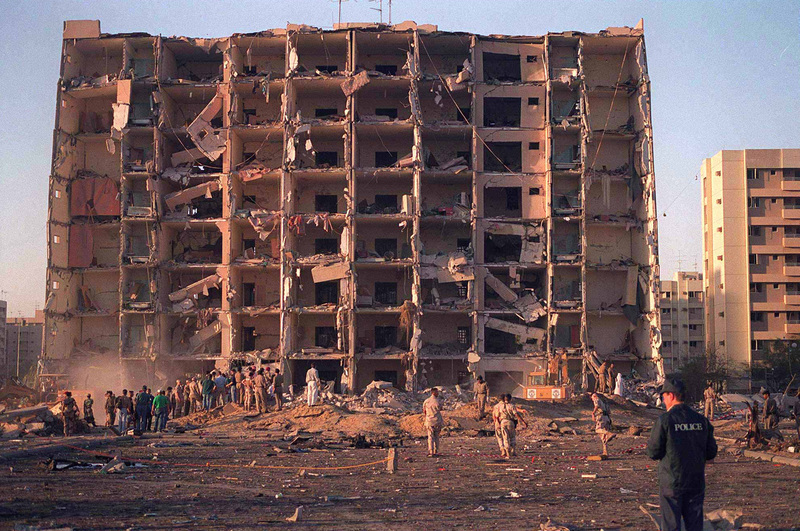 The al-Qaeda uprising in Saudi Arabia in the 2000s had been scary as hell. After the Great Mosque Siege of 1979, rulers all over the Gulf concluded that the problem was not political Islam but that they themselves weren’t Islamic enough, and so hardened their conservative stances everywhere they could. But that gambit was shown to be a failure during al-Qaeda’s uprising. The rulers of the Gulf of the 2000s came to a very different conclusion than before: the enemy was political Islam. The religion had to be moderated and its political appeal neutered, and so mosques were taken over by Gulf governments to silence radical preachers. Meanwhile, interior ministries went to work rounding up Islamists. To Mohammed bin Zayed and those like him, the electoral victory of the MB in Egypt in 2012 was an utter disaster. There was no reason to assume they would not use Egypt as a base to try to spread the Muslim Brotherhood elsewhere, including the UAE. The Muslim Brotherhood offered a vision totally opposite of his – they sought a conservative society ruled by a politically active Muslim citizenry. Dissent within the UAE has always sort of been there, with people grumbling and complaining, but it has never been organized enough to do anything. To keep things that way, in July 2012 Sheikh Mohammed bin Zayed ordered the largest political arrests in the UAE’s history. Intellectuals, clerics, lawyers, and dissidents of every stripe were swept up. Most of these people got ten years in trials that just about nobody thought were fair. On top of that, some prisoners’ families had their bank accounts frozen, thus cutting them off from the vital welfare state. One Emirati had his citizenship stripped and was deported. The point was simple: shut up. The coming of the Islamic State was a massive game changer for everyone in the region. This was a purist state that walked the talk that all the rulers proclaimed. Their existence causes automatic dissent in any country with Muslims who don’t totally understand their religion, so it should come as no surprise that the UAE almost immediately went to war with it. The Emirati suspect seems to have acted alone, but that won’t be known fully for a while. The UAE’s government has a strong incentive to cover up all but the best news since it’s economy is totally dependent on foreigners thinking the country is a good place to work. So a lot of information will be kept as secret as possible, including whether or not this was a cell or a lone wolf attack. More bad news is that the UAE has a dissent movement where before it had none. The arrests of 2012 created enemies; the formation of the Islamic State and the overthrow of the Muslim Brotherhood in Egypt have convinced Islamists everywhere that violence gets results. A pool of Emirati recruits exists, but their size, organization, and abilities cannot be known. The good news is that Emirati security forces are well-trained and police a small country with an even smaller population. Emiratis are just about 900,000 people, so no matter what, the pool of potential terrorists is shallow. The vast majority of Emiratis continue to accept the cradle-to-grave social contract that keeps them firmly apolitical, and the Emirati government won’t run out of cash to keep bribing them in this decade. That the rulers are totally unaccountable also will help the security situation. Rulers can throw anyone in jail they like and make up crimes later; this is common knowledge amongst Emiratis, which should give pause to any copycats. If any terror groups wishes to start a front in the UAE, the odds are firmly against them. On a long enough timeline, they will lose. On balance, the UAE remains and will remain a very safe place. But that’s only if it’s little safe bubble remains. Right now, the Islamic State’s legions are kept far afield by a weird coalition that ranges from the U.S. Air Force to anti-American Iraqi Shi’a militias. But their ability to inspire uprisings and attacks only grows the longer they remain in control of territory. That they will seek to grab headlines in the Gulf states is inevitable. Worse than that, however, is Saudi Arabia, the truly scary bomb in the Middle East waiting to go off. There are many, many fractures within its society, and comparisons with France in 1788 are apt. Should something wobble that monarchy, the chaos will doubtless spill over into the UAE. 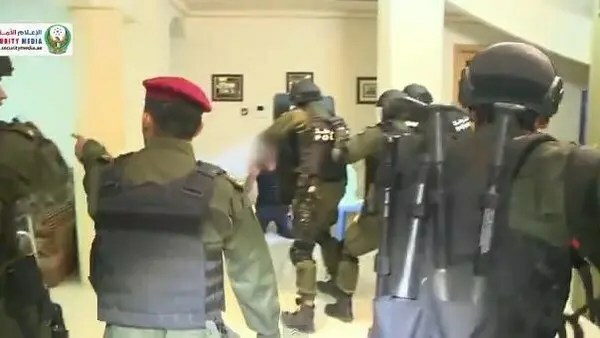 The only silver lining is that expats in the UAE will have time to witness such anarchy on TV and be able to pack their bags before it comes knocking on their door. “May you live in interesting times,” as it goes. Interesting they will be, but terrifying as well. No terror group will win against the UAE’s government without Saudi Arabia as a base. Such a day may be coming; the trends favor it. In the meantime, expats should bother breaking the Emirati government’s information blackout more often. The National’s crime section is amply entertaining, but it’s not about to keep anyone safe. I absolutely agree. However, the UAE does have the room to reform themselves into a more politically liberal society, like Britain did with its monarchy. Whether they will have the wisdom to do that will remain to be seen, but it’s very unlikely under Sheikh Mohammed bin Zayed. Hi Joe. You’ll have to be more specific. I always welcome feedback, even negative feedback, but your comment isn’t terribly useful.